You can ask your local shop to order these rulers from Brewer Sewing. I always support local shops because they are the lifeline of our industry. If you don’t have a local shop I have a limited number in my store, but if you have a local shop, you can save on shipping. Later in the week I’ll show you a preview of my holiday collection for next year – can’t wait! There is a sampler that is similar in feel to Sewing Room Sampler that is such fun to sew – I hope you’ll love it! And speaking of holidays – hope yours are merry and bright! The winner of this giveaway is Sharon Krulitz! Congratulations, Sharon! Send me your address and I’ll get your prize on its way! 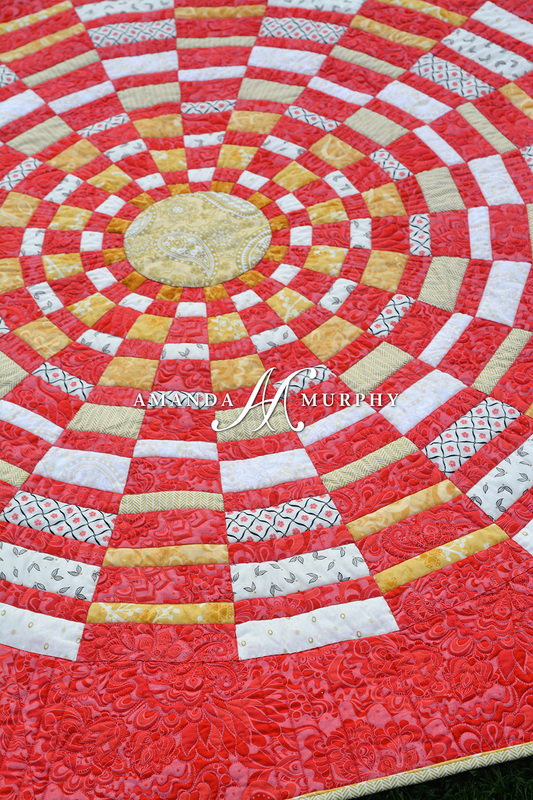 So a question in my Facebook Group, Quilting with Amanda Murphy, the other day reminded me that there was a Jubilee quilt that I never blogged about. Actually I never even photographed! Whoops! So I’d like to belatedly share Technicolor in the reds and golds of Jubilee! 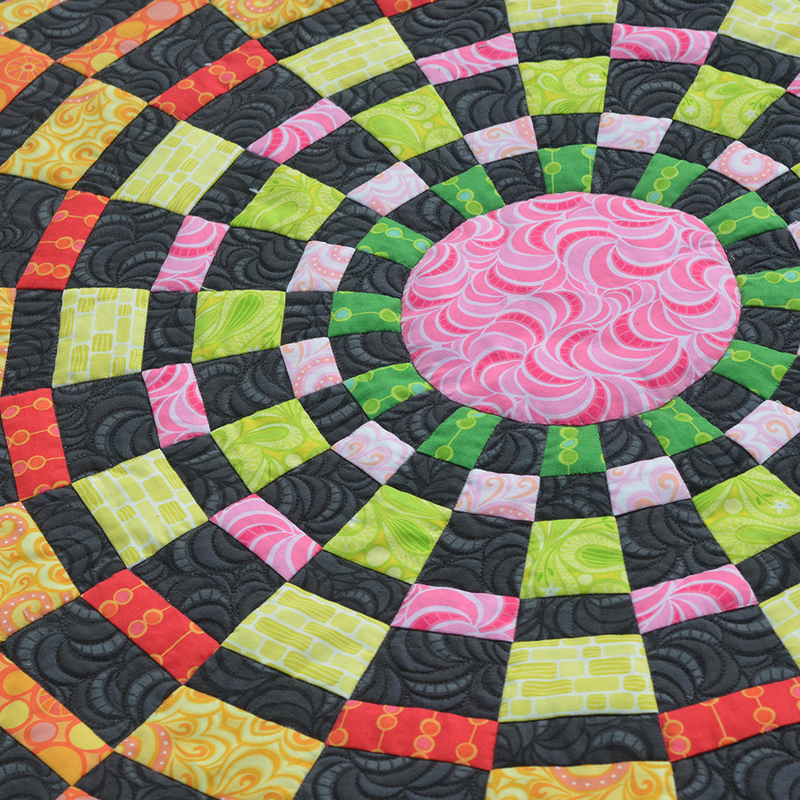 This one is super simple (in reality is is a huge wedge-quilt) and it just glowed one it was done! 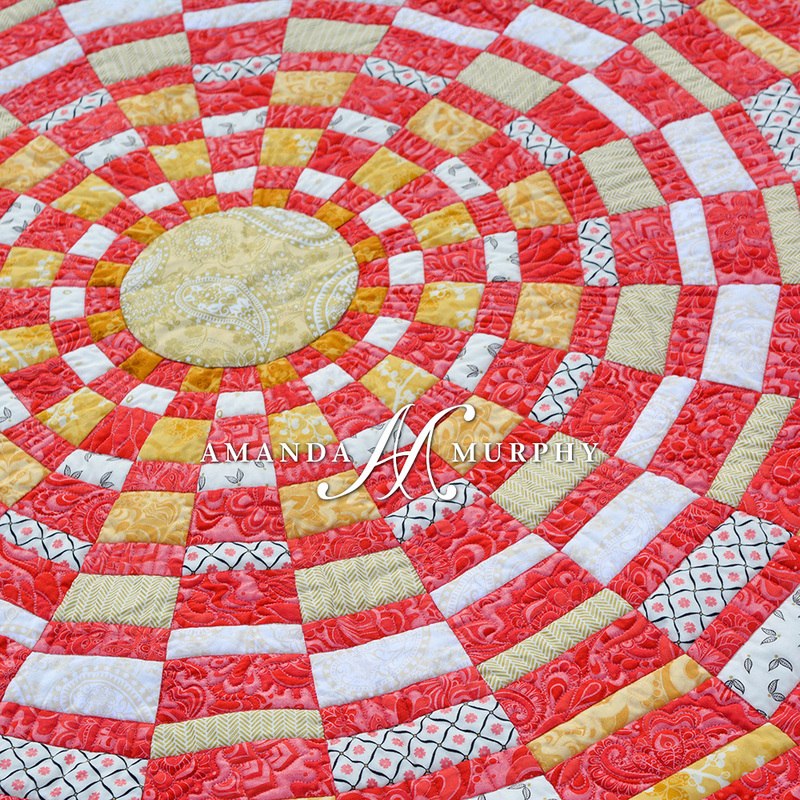 It was quilted in Aurifil thread on my BERNINA Q24 but it would actually be just as easy to execute this one on a domestic machine by quilting around the circles and then quilting the liens that radiate out from the center. What really makes the quilting here is the contrast between the straight line quilting and the free-motion. Really the free-motion could be anything from meanders to paisleys to just loosely following the design on the fabric, which is what I did here. 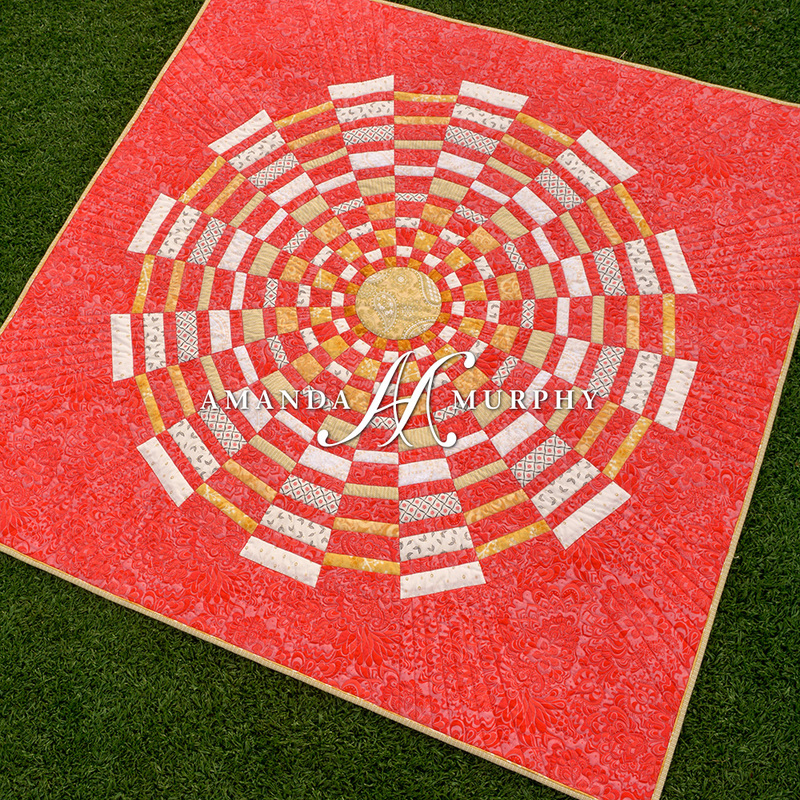 It is the CONTRAST with the straight line quilting that creates the energy here. 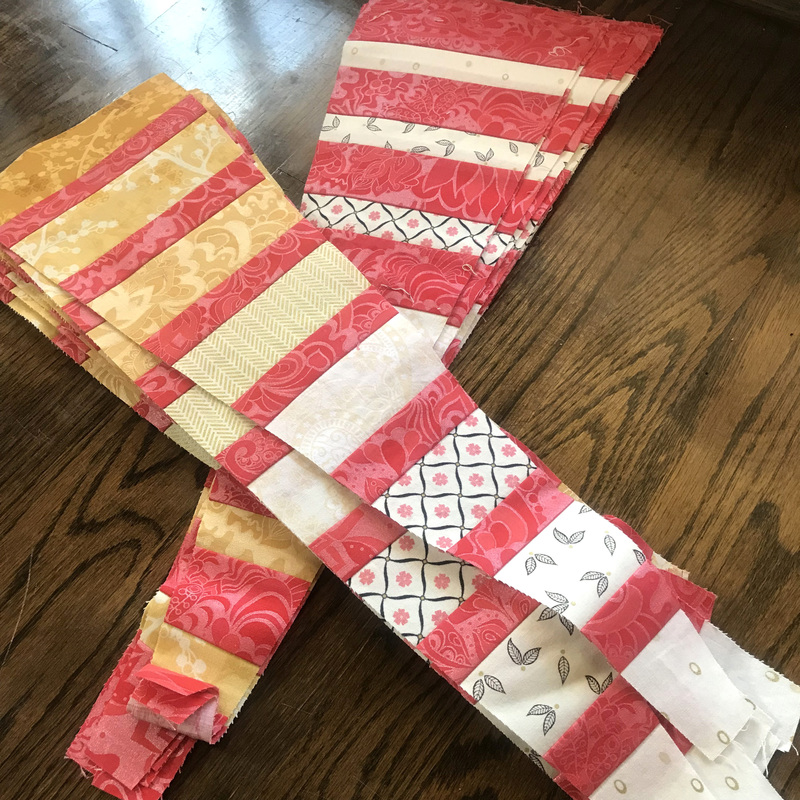 One of the best things about this pattern is that once you create the wedges for one quilt, you are left with the reverse of those wedges so you can make a second quilt just with the addition of background fabric! In fact, when I made this quilt I was left with a set of wedges that I’m going to give away – details below. If you are interested in the Jubilee SKU info for Technicolor you can find it here. So that is it – now for the giveaway. Just comment below telling me about your favorite quilting notion. The one you can’t live without. A winner will be chosen randomly from the comments. Just to get you started, mine might be my weighted seam ripper. LOL but seriously it is! One entry per person please. This contest will be open until midnight this Saturday, December 1st. 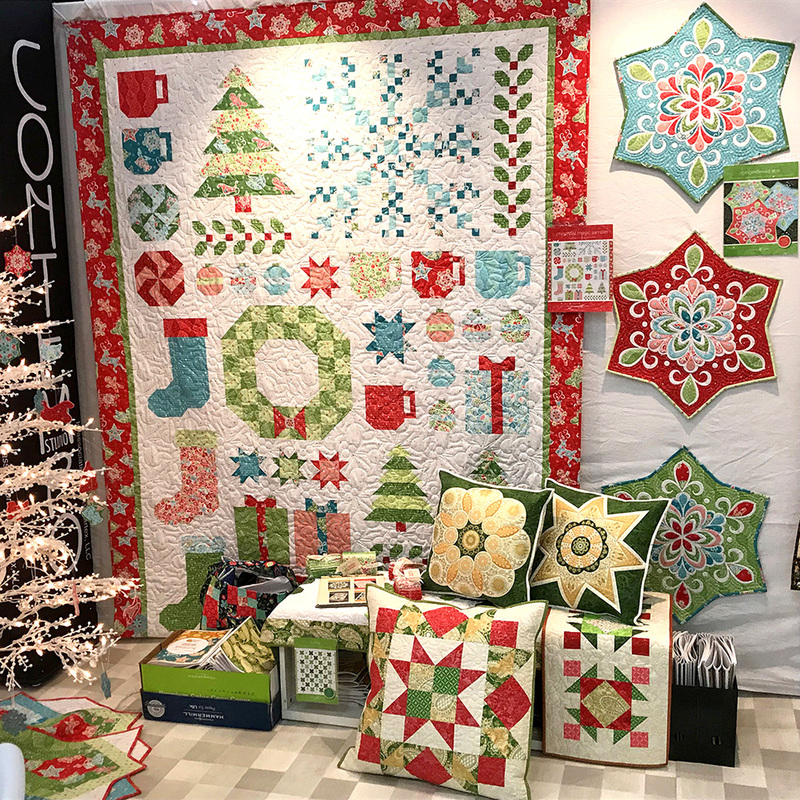 In the meantime – happy quilting! Hi everyone! 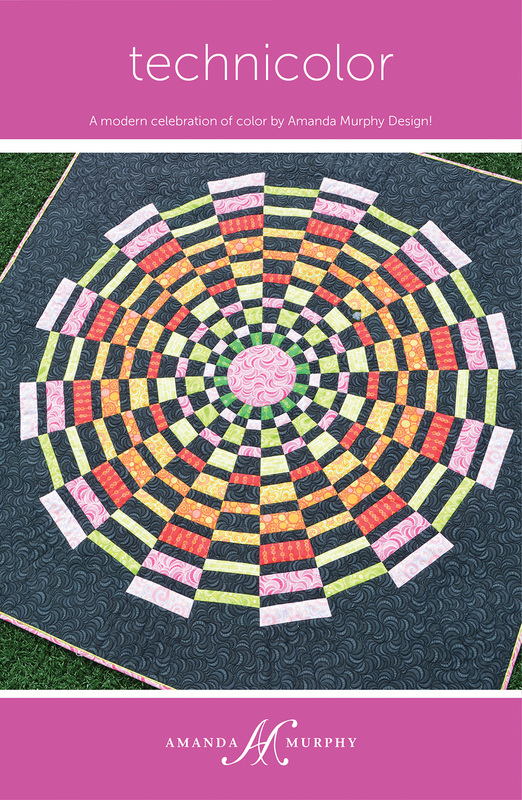 This fall I’ll be hosting a We All Sew quilt-along for the 125th Anniversary quilt. Free PDFs will be available at that time but for those of you early birds who are buying printed directions from your BERNINA dealer (either with or without kits), or for those of you have have a kit because you have purchased an Anniversary machine, I wanted you to be aware of a correction page that missed the printing deadline. Your dealer may already be aware of these but just in case someone misses something I’m trying to get the word out there. YOU CAN FIND THE CORRECTION PAGE HERE! I hope many of you will join us over on We All Sew in September – I’m filming videos while sewing another 125th Anniversary Quilt now and it just sparkles! 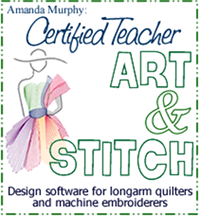 A portion of the pattern will be released as a free PDF each month. 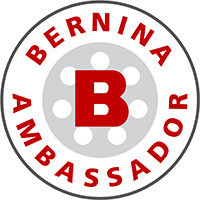 BERNINA and its family of companies have some amazing prizes lined up for you guys and I can’t wait to see what your version of the 125th Anniversary Quilt will be!